As part of transitioning from your summer to autumn wardrobe it's essential that your accessories follow too! I was lucky enough to receive some amazing gifts this month which fit in perfectly with my autumn style. I'm usually not a huge fan of wearing gold accessories however, I have to admit my tastes are shifting & I'm loving it! It's undeniable that almost every blogger is currently wearing the new Dior So Reals, so I was super excited when LSL Clothing approached me to pick out my own favourite products off their site. I couldn't help put notice they had a replica pair and I just knew I had to have them! You've got to admit they look pretty good for a pair of high street sunglasses! If you want to see more photos of me wearing them just head over to my Instagram page! As much as accessories are essential, another key component in my Autumn wardrobe is having the perfect perfume. One of my favourite Autumn scents has to be the Flora by Gucci , it's perfect to wear everyday & the packaging of the perfume is adorable! It's always great to experiment with your style, especially with accessories. 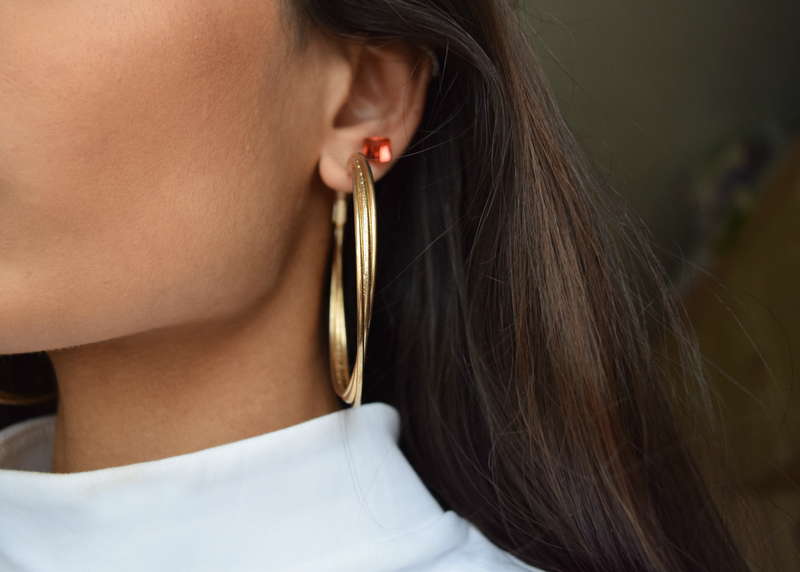 I've recently started to pair my simple gold hoop earrings with bold colour studs! 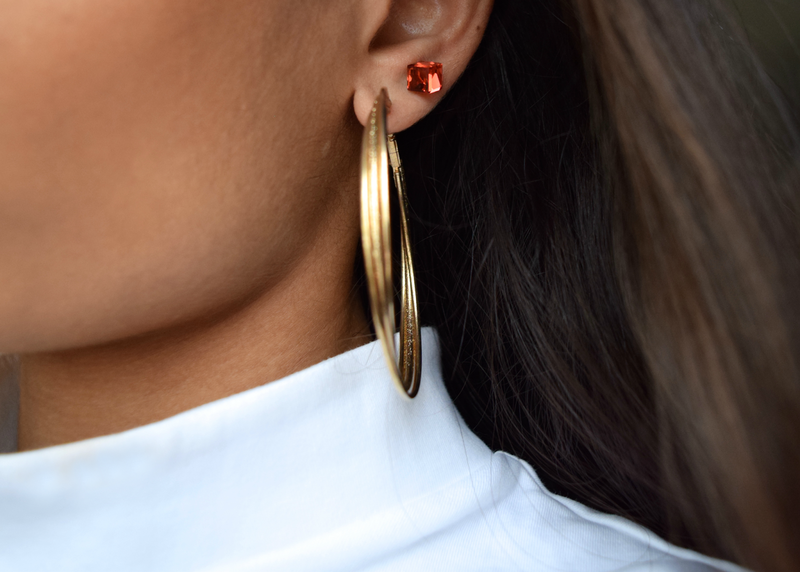 I received these cute Red Topaz Earrings from Hazel and Kent and found that adding a pop of colour to my accessories completed my look!